> Our Orchard Apples Are Back! 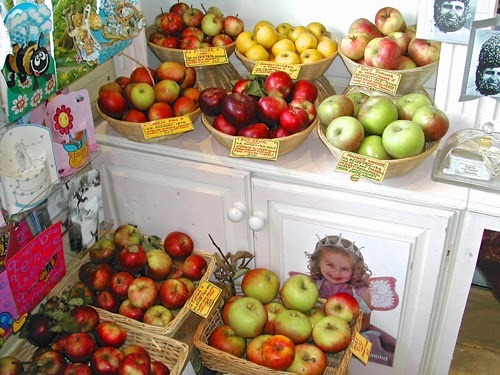 Just to let everyone know, as of yesterday our orchard apples are now back for sale at the shop. Like last year they are in big yellow buckets outside the front of the shop and you can mix and match, as they are all sold at the VERY LOW PRICE of £1.65 per kilo. You get around 7-8 apples for £1.65! 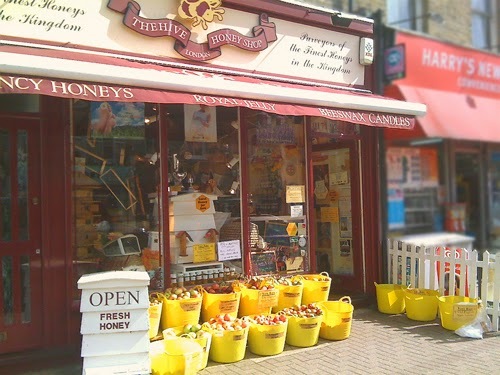 For those new to the shop The Hive Honey Shop planted an orchard of rare apple trees over 20 years ago. 200 trees 88 different varieties of rare old English varieties. Some of these varieties have not been sold on the market since the 1800s. We hand pick every few days and only bring in the ripe apples. We planted, Early, Middle and Late varieties. So we have fresh crisp apples from now until November- December. But remember we only get around 2 buckets of apples per variety. So a variety will sell out quick. They change every few days, so grab a chance to try apples that taste like strawberries, lemons, pineapple, honey…. 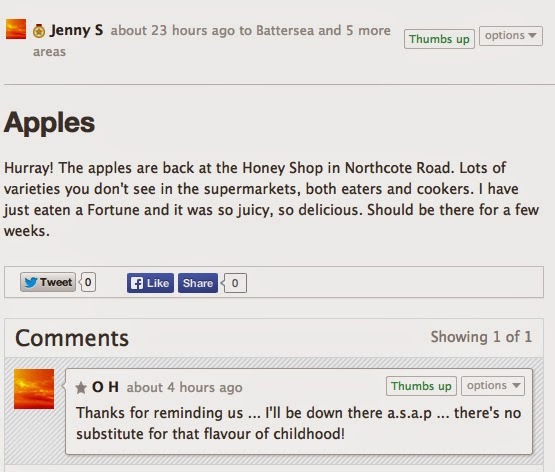 We just found that people are talking about our apples on Street Life, local chat site. See below.